Bee Racing Rev Limiter on sale! 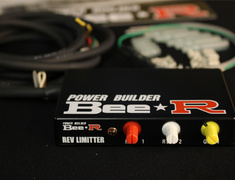 The Bee Racing rev limiter is a customer favourite and we are pleased to offer our best ever price. Whether you use it for a safer ignition cut rev limiter for your engine or simply for the impressive flames, the BR Rev Limiter is now available direct from Japan. Please contact us prior to purchase if unsure on the correct model for your vehicle, wiring instructions and details are provided for a range of vehicles but we always recommend this rev limiter is installed by a professional and licensed workshop.